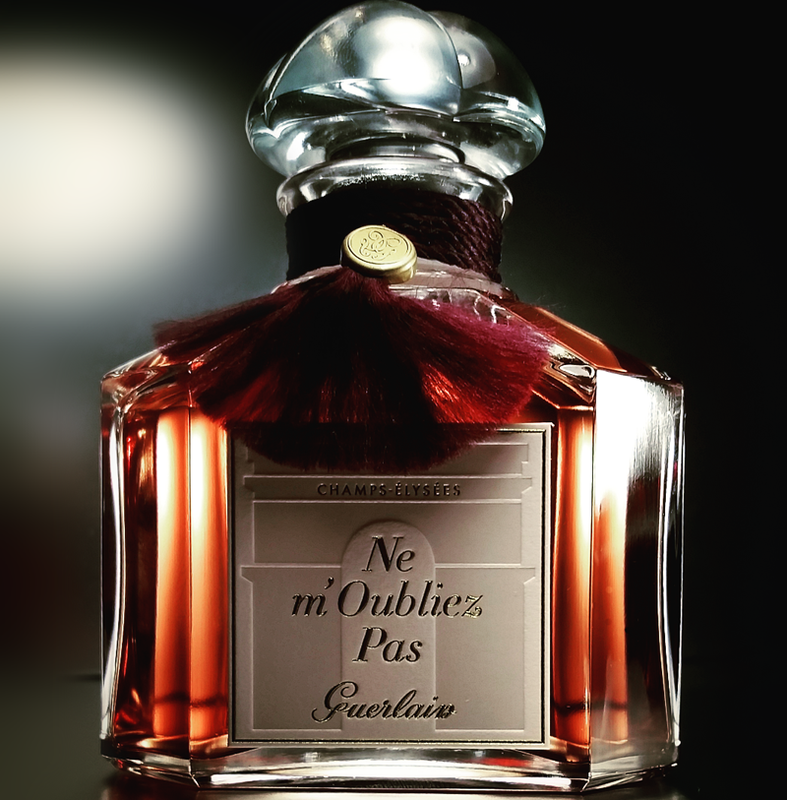 This year, Guerlain Parfumeur Thierry Wasser restores the Maison's celubrious tradition of somewhat affordable luxury with the release of "Ne m'Oubliez Pas"; a new pure parfum creation with sales limited strictly to the flagship Guerlain boutique on the world-famous Champs Elysées. It marks the second release of an extrait de parfum in recent times, presented in a generous 125ml quadrilobe flacon... "Le Bouquet de la Mariée" - the first - was intended for (but not limited to) brides-to-be. Given the pair's generous concentration and liberal fluid volumes, their price (from €500 - €750) is more attainable for most than their spectacular annual editions that often run in the high thousands. Ne m'Oubliez Pas - to my mind - feels more like a harkening back to the House's illustrious history of coveted editions made in small quantities, rather than Bouquet de la Mariée's conspicuous marketing brief compliance. 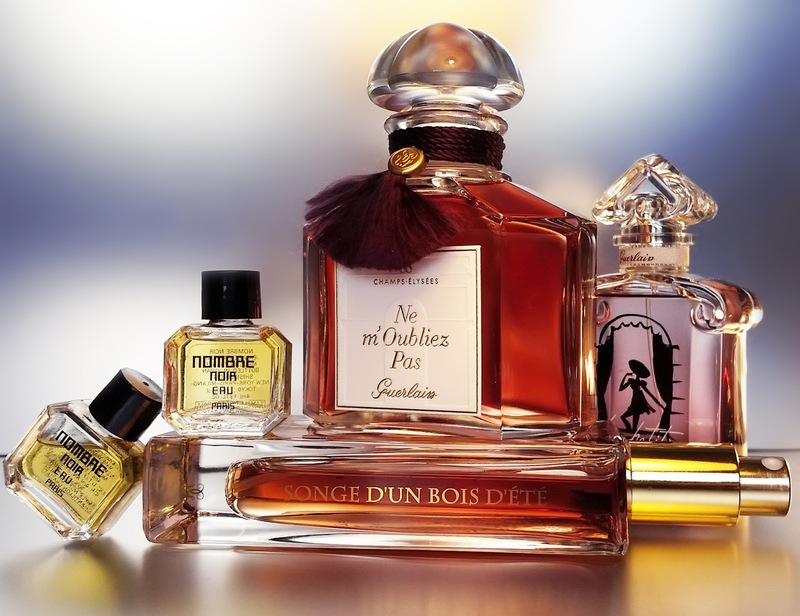 Ne m'Oubliez Pas, for one, feels undisputedly Guerlain... it draws an arc through points plotted along the Guerlain timeline since Wasser's ascension to the throne; an olfactory snapshot of the fingerprint he has left on the House to date (with perhaps with a brief nod to one or two of the greats of yesteryear). Ne m'Oubliez Pas (Don't Forget Me) has a surprising fruity flight, though not an expected one of citrus and pink pepper... rather, it feels dense and dewy; a splash of the amber/peachy opening of Guet-Apens perhaps? Second, a rising tendril of curried immortelle, laced with spices... a dense thread of cumin and cardamom that echoes the dry wood and allspice of Songe d'Un Bois d'Ete. These notes are steeped in a rosy/fruity damascone plumminess reminiscent of the highly coveted Shiseido great Nombre Noir. (Here, we have a rare, fleeting glimpse through a window into the excessive creations of the 80's). As the parfum dissipates over many hours, we catch flashes of the candied rose in La Petite Robe Noire and Rose Nacrée du Desert and finally trace the drydown back to the amber / patch / vanilla toothiness that is evident in the l'Art et Matière collection. Whilst on paper this scent may read as something of a Frankenstein's monster, on skin it actually sits in the register of the sublime. I can see no good reason why Ne m'Oubliez Pas will not be as revered and cherished as one of Jacques Guerlain's lesser-known creations. It may never quite be a Shalimar or a Mitsouko, but quite possibly a Fol Arôme, a Coque d'Or or an Atuana. As one can never truly predict how long a Guerlain scent will be kept in production, I recommend you think about making this your purchase of the year. And whilst it may one day inevitably end up a Bolshoi or a Parisienne, one can never refute the timeless allure and charm of an exquisitely-fringed quadrilobe flacon. Get it while you can.